Given the inherent weight, drag and drivetrain load disadvantages of an SUV, it should come as no surprise that plug-in hybrid technology has become par for the course at the premium end of the sector. 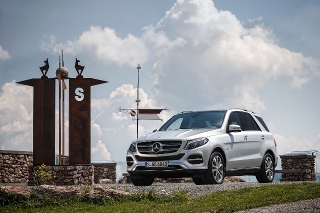 It’s a closely-fought battleground that the GLE-Class – the SUV formerly known as the ML – puts Mercedes-Benz into. The advantages are obvious. Environmentally-conscious drivers can avoid belching diesel fumes while in town, and it puts a luxurious, high-performance SUV within reach of all but the most limiting CO2 caps on a choice list, with low Benefit in Kind as a lure too. For manufacturers, a plug-in hybrid is also an effective way to nudge fleet-wide emissions a little closer to the EU’s 95g/km 2020 limit. 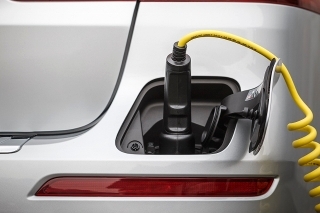 In the UK, CO2 emissions of 78g/km for the entry-level version put it just outside the 75g/km cap to be exempt from the London Congestion Charge, and for eligibility for the Plug-in Car Grant. It’s meant Mercedes-Benz is only offering AMG and Designo Line trims for British buyers, both of which emit 84g/km CO2. It’s an appealingly low figure, but does it make any sense in real-world terms? The drivetrain is based on the setup used in the C-Class and S-Class plug-in hybrids, here combining a 329bhp 3.0-litre V6 petrol engine with an 114bhp electric motor between the fuel-burner and the seven-speed gearbox. This means the GLE 500e can offer four-wheel drive, fully electric motoring up to a top speed of 75mph – good for short motorway commutes – and there’s no loss of towing capacity compared to the diesel. There’s a charging port hidden behind a flap on the rear bumper, which can refill the battery under the boot floor in around two hours. This offers a range of around 18 miles, depending heavily on driving style, and there are selectable modes enabling this to be saved for urban roads, to force the car to drive electrically, or use the petrol engine to give the battery a top-up. 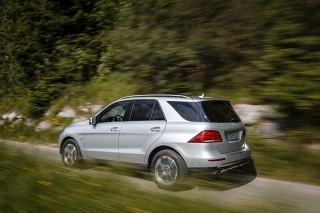 It’s no more challenging than a conventionally-powered GLE to drive. The 436bhp with the two power sources combined gives it breathtaking straight-line pace, reaching 62mph in 5.3 seconds, and the silent cruising on the electric motor perfectly suits the luxurious SUV’s character. It can even use the satellite navigation to plan energy use based on the route ahead, maximising real-world economy. However, in-life running costs are more complicated than the slightly arbitrary 76.4mpg average fuel economy figure suggests. Drivers who spend most of their time covering long motorway journeys will pay the economy penalty of using a V6 petrol engine – albeit one assisted by hybrid drive – to propel a 2.5-tonne SUV. Those who rarely go much further than the electric range and are prepared to plug in frequently will easily see much higher figures than those in the brochure. There are other disadvantages. Mercedes-Benz has been very clever with its diesel-hybrid drivetrains, packaging the battery under the bonnet. 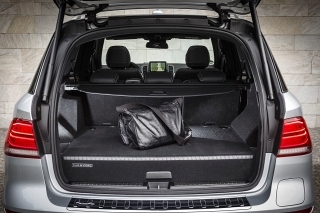 In the GLE, the lithium-ion battery lifts the boot floor by around five inches and reduces luggage capacity by 210 litres. At 480 litres, what’s left is the same luggage capacity as a GLA-Class and doesn’t sit flush with the folded rear seats. That’s a real sacrifice for a car usually bought for space and flexibility. 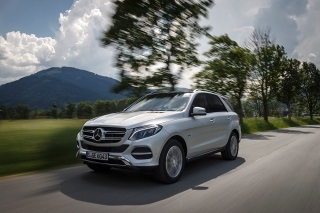 The GLE 500e has its advantages for tax and air quality-conscious drivers and for businesses looking to reduce their carbon output. But, as with all plug-in hybrids and all of this car’s direct competitors, it’s worth considering whether it suits drivers’ usage patterns before opting into it based on its impressive-sounding fuel economy figures. A clever piece of engineering which – to the right driver – can make a lot of sense. But for the high-mileage GLE driver – of which there are many – Mercedes-Benz’s excellent diesel-hybrid system would probably have made more sense in whole-life cost terms.